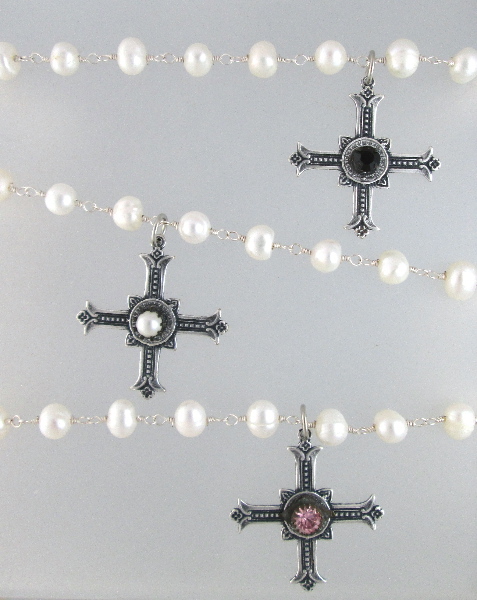 A Stunning combination of an antique Silver Sterling Silver-platedÂ Gothic inspired Cross suspended on Genuine White Freshwater Pearls. Cast from the original antique European medal; over a century old, this lovely reproduction is hand crafted. 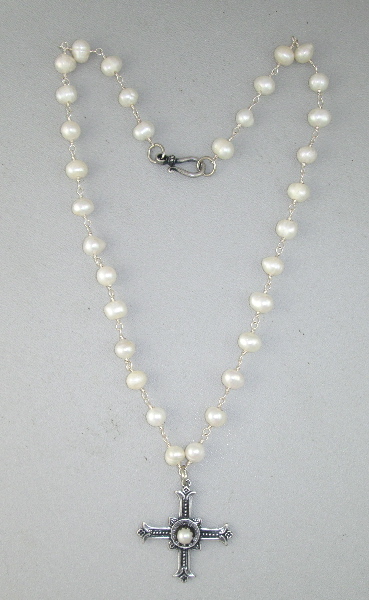 It is Sterling Silverplated and aged to a wonderful old world patina. 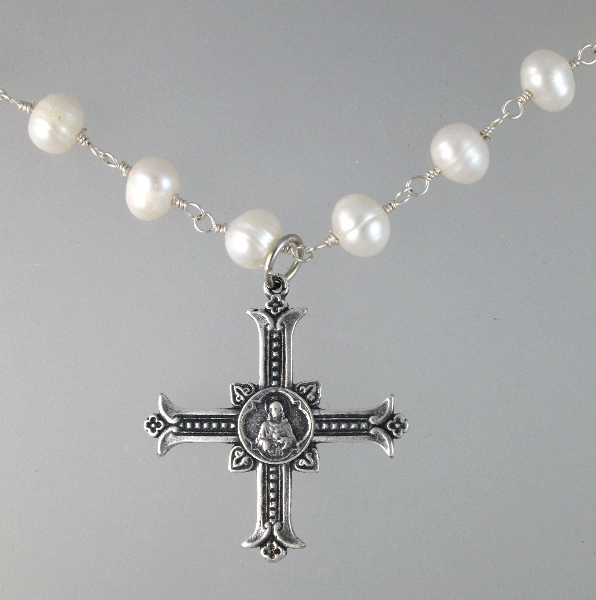 This piece is two sided and features Jesus of the Sacred Heart image on the one side, and a Single stone or Pearl with a French inscription "Aposolat du Coeur de JesusÂ " on the reverse.